Lovely guest house, building and owners! 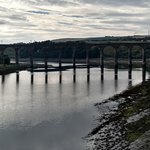 Stayed at The Anchorage while attending the Berwick Food and Beer Festival. Room was very comfortable, clean and cosy. Sandra and Ian were excellent hosts, very welcoming and friendly and knowledgeable about the area. The passion and pride they have for Berwick and The Anchorage shines through. We were impressed with The Anchorage - it's a lovely, old historic building, beautifully renovated. 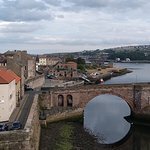 Great location right in the centre of Berwick upon Tweed so walking distance to everything in the town, including the river, pier, old walls, coast, shops and restaurants. We had a very comfortable, quiet room and a most delicious breakfast the next morning. Sandra & Ian are excellent hosts in a grade 2 listed building in the centre of town. Ideal if you are staying or passing through. Beautiful building lovingly restored . Breakfast choice extensive and freshly cooked. If we come back this is where we are staying. Great value for money. My friend and I stayed for one night at this lovely B&B for a weekend break. Its nice and central but still on a quiet bit of street and was easily walkable from the station. We received a warm welcome from Ian and showed to light and airy twin room. The room was clean, the beds so comfy and there were all the usual facilities you'd except to find in the room - tea and coffee, biscuits, TV, info about things to do in the area. Ian even recommended the best pubs to go to for good ales! After a good night's sleep we popped down for breakfast where we were greeted warmly by Sandra and enjoyed an amazing fry up! The food was superb and there was plenty of toast, tea and cereal options too. We really enjoyed our stay. It's so reasonably priced and infinitely better than the Travelodge and another hotel in Berwick I have stayed in previously. I'd definitely stay again! Cosy room, delicious breakfast, friendly hosts- what more is there to say? I was staying here on business in the middle of January. Ian and Sandra were very welcoming and the breakfast was delicious. The room was very cosy even though it was snowing outside. The guest house itself is a beautiful old Georgian house in a very central location. What more could you ask for? Thanks!